Search for Homes anytime, anywhere. This is a fantastic new way to get the value of your home instantaneously. Save your own search that is tailored to your specific wants and needs. 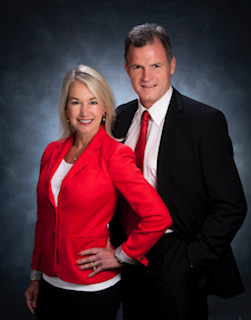 We are The Miller Group and long-time residents residing in Okemos, Michigan. Kelly is the commercial specialist while Shelby is the residential guru. Kelly comes from a long line of hockey players that all played at Michigan State University. He and many of his cousins continued to have long and fullfilling careers in professional hockey. Shelby also went to MSU for undergrad, as well as 2 of there 3 daughters. The Millers have had a blessed life in the Greater Lansing Area and know the ins and outs of all the different areas. They would love to help you with all your real estate needs and bring you into their circle. Running a business is like raising a family. It takes a love of what you are doing and being invested in your product. We raised three beautiful daughters to be successful business women and we take the same pride in our business.